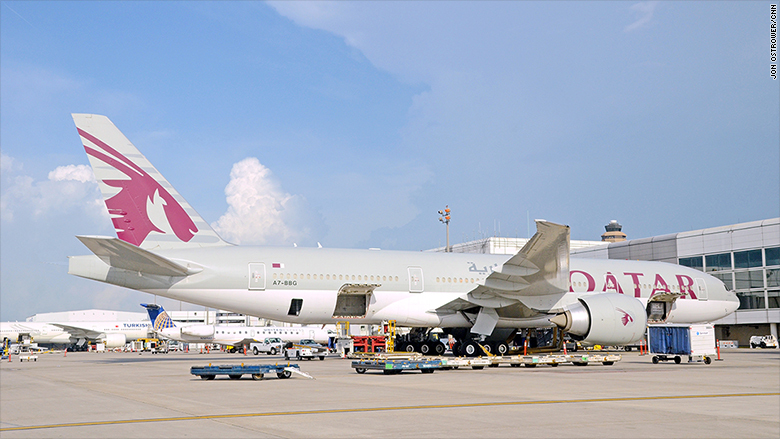 Qatar Airways has claimed a new record for the longest commercial flight in the world. A Boeing 777 departed from Doha, Qatar on Sunday and landed in Auckland, New Zealand on Monday after flying 9,031 miles (14,535 kilometers). The return flight touched down in Doha late on Monday. The scheduled time for that leg is 17 hours and 30 minutes. Qatar Airways CEO Akbar Al Baker, who traveled on board the inaugural flight, said the new Auckland service was "an important milestone" in the airline's global expansion. The previous record was held by Gulf rival Emirates. 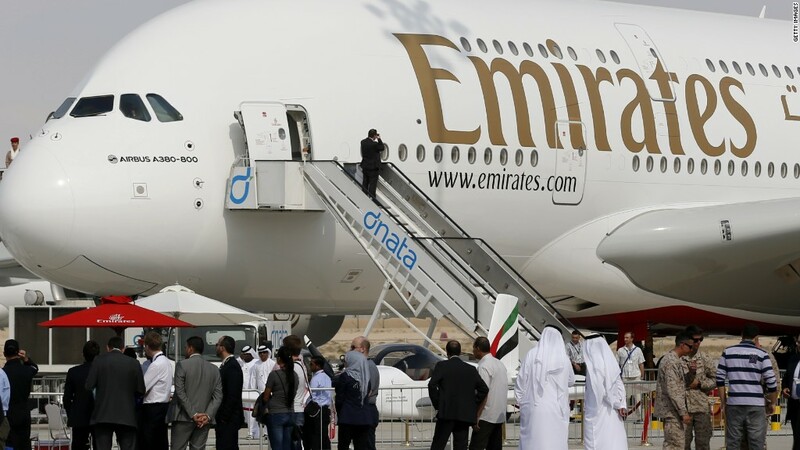 Its Dubai to Auckland service is now the world's second longest at 8,823 miles. One airline does fly a longer route — Air India's 9,408-mile outbound flight from Delhi to San Francisco — but it flies a much shorter distance on the return leg. Qatar's route is the shortest possible distance between Doha and Auckland. Other airlines are also adding ultra long haul flights to their timetables. Travelers will soon be able to fly from Australia to Europe without stopping after Qantas announced in December the first direct passenger route between the two continents. The Perth-London service will cover 9,009 miles (14,498 kilometers) when it begins March 2018. And Qatar's status won't go unchallenged for long. Singapore Airlines is planning to resume its Singapore to New York's John F. Kennedy route next year. Analysts expect that one will be hard to beat. -- Correction: An earlier version of this article gave an incorrect time for the Doha-Auckland flight.